Inspired by the gorgeous circular Lenten wreath I saw at A Holy Experience, I decided to try my hand at making my own version at home. I love having a visual symbol for the family to gather around for our evening devotions as we did during Advent. I wanted to incorporate some Lenten symbols into the craft as well. I made sure to work in the color purple (the liturgical color of the season) and also burlap--representing the sack cloths people wore while fasting during biblical times. I thought I'd share how I made it, in case you might want to make your own. Once the Fimo was soft enough to work with, I sculpted 40 little bowls (think pinch pots from grade school!). I like the free-form irregular look, so I made each of mine a slightly different size and shape. I baked them according to the directions on the package. Once they were baked and cooled I arranged them on my spiral to make sure everything would fit nicely. Using the cardboard as a guide I cut the burlap into a spiral pattern leaving a tiny bit of overhang on all sides to take into account the fabric that will be lost by burning. I selected 40 stones that would fit nicely into the cups. Using my glue gun I then glued the burlap securely to the cardboard working in 6 inch sections from the outside toward the center. Once the spiral was glued and dry I Very carefully burned the edges of the burlap working by 2 inch sections and blowing out each section before moving onto the next. Once the edges were singed I glued the 40 clay pots to the burlap with a glue gun. Gathering sticks from the yard, I fashioned a cross out of them. I used purple embroidery thread (love using purple however I can!) to secure it. I then molded black no-bake clay around the base of the cross and secured it into the center (40th pot) of the spiral. Once the project was completed I placed everything into a black tray for use. I chose a purple candle to further highlight the color for the season and placed the stones we'll be using into a glass container wrapped with twine. Our family will be using the book A Family Journey With Jesus Through Lent for our evening devotions. If you decide to give it a try I hope it turns out well for you! If you have any questions please feel free to leave a comment and I'll be happy to answer! I wish you all a wonderful 40 day walk with Jesus this Lent. So cute! I love being intentional about the holidays. Great idea, I need to think of something as well... maybe I will just steal your idea! This is so beautiful! I've been looking for ideas about how to celebrate Lent with my family & I love this! Thank you for sharing!! I love this idea. You've set the wheels turning here. Hmmmm. My children are older (the youngest is six), so I might choose a different devotional, but I like the overall idea. 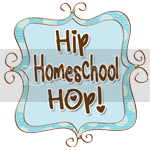 Thanks for sharing & for linking to Raising Homemakers. This is an awesome project for Lent. It looks like so much fun. Very creative! I have been looking for a book to use during the Lent season and I am now ordering A Family Journey with Jesus through Lent. Thank you for sharing. I am following from HHH and am now a follower. This is so great! A wonderful take on Ann's. Looks like a fun project to make! Question: What do you do with the rocks in the bowls? I'm assuming you taken one out every day during your devotional time? Thanks, I'm glad you like it! I actually begin Lent with all of the bowls empty, and each day we do our devotional we put a rock into the bowl, starting with the outside and working our way toward the center. By the end of the 40 days all of the bowls are filled. Thanks for this, Erin! I was on "A Holy Experience" today and saw the beautiful Lenten wreath there and I, too, thought it was a great idea! A visual, physical way to mark Lent, much as we do Advent, seems to be a no-brainer! I could see it making my journey this season much more meaningful. I like the way you incorporated the burlap and the simplicity of the bowls and rocks. Great idea and I'm off to get some burlap now! Ash Wednesday is tomorrow! Electric scooters are an affordable, convenient way to minimize your carbon footprint and zip around town, click here to know more.